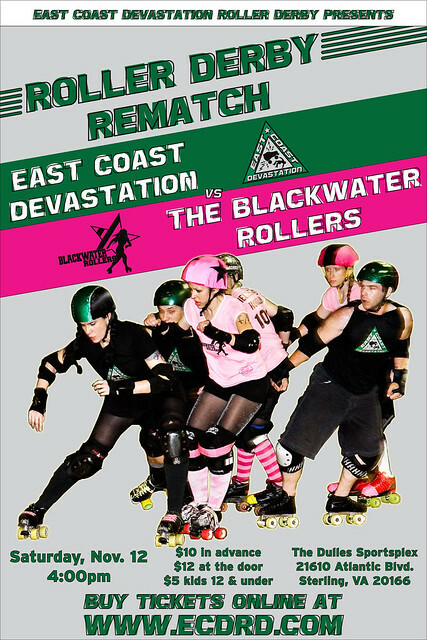 Blackwater is loading up our gear and heading north to take of our friends, East Coast Devastation Saturday in Sterling, Va. We are teaming up with some derby dudes from all over and competing in a OSDA bout. We can’t think of a better way to end our season than with this team. There should be some amazing derbying hitting the rink, so if you are in the area be sure to swing by! For more info, check out thefacebook event page.